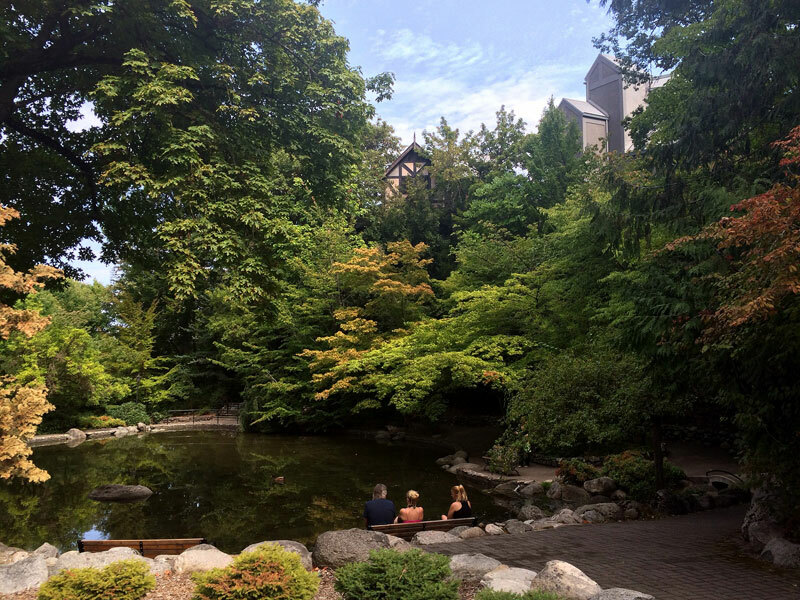 Lithia Park can trace its roots to the Chautauqua movement of the late 19th century when the Chautauqua Association purchased eight acres of land along Ashland Creek. In 1908 the Women's Civic Improvement Club and members of the community successfully lobbied the town of Ashland to establish a city park commission and acquire property along Ashland Creek for the development of a park. South of the downtown Ashland plaza and encompassing 93 acres on either side of Ashland Creek along Winburn Way. Ashland Creek. Photo by Dorinda Cottle. 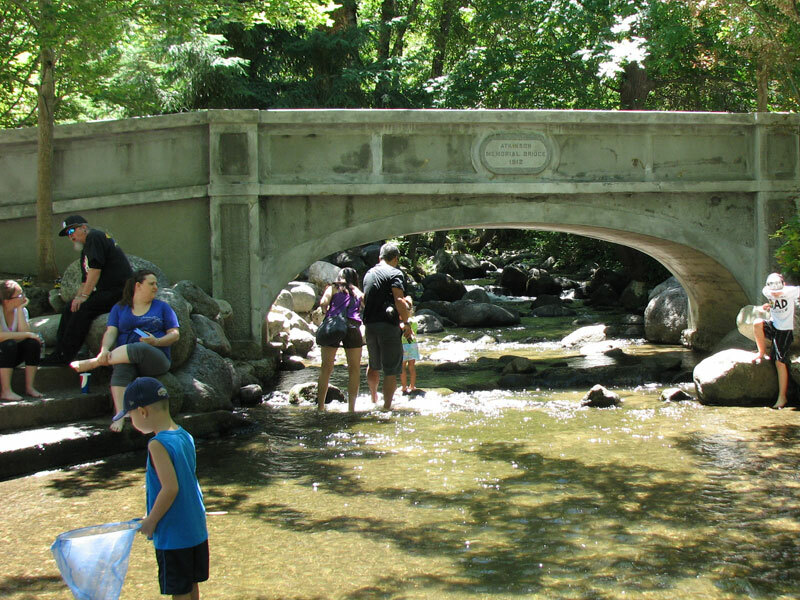 The modern-day evolution of the park began when a lithia water spring was discovered nearby. At the time, lithia mineral water was thought to have positive health effects, and a bond was issued in 1914 to pipe lithia water from the spring in the nearby mountains. The City of Ashland hired John McLaren, designer of San Francisco's Golden Gate Park, to develop a landscape plan for the lower 18 acres of the park's 93 acres. McLaren's plan was reminiscent of Frederick Law Olmsted's designs and included the construction of ponds, gardens, gazebos, and numerous groves of native trees — alders, oaks, conifers, and madrones. The park was added to the National Register of Historic Places in 1982, and several of the park's features are also listed in the State of Oregon Register of Historic Places. One of the park's most popular attractions is the Oregon Shakespeare Festival, which occupies the northern corner of the park on the former Chautauqua grounds. The festival began in 1935 and has since grown to three theaters, including the 1,190-seat outdoor Elizabethan Stage. Each year, upwards of 400,000 people attend the plays, which run from February through early November. The festival is among the oldest and largest repertory theaters in the United States. In 2013 the festival had an economic impact on the region of over $251 million. 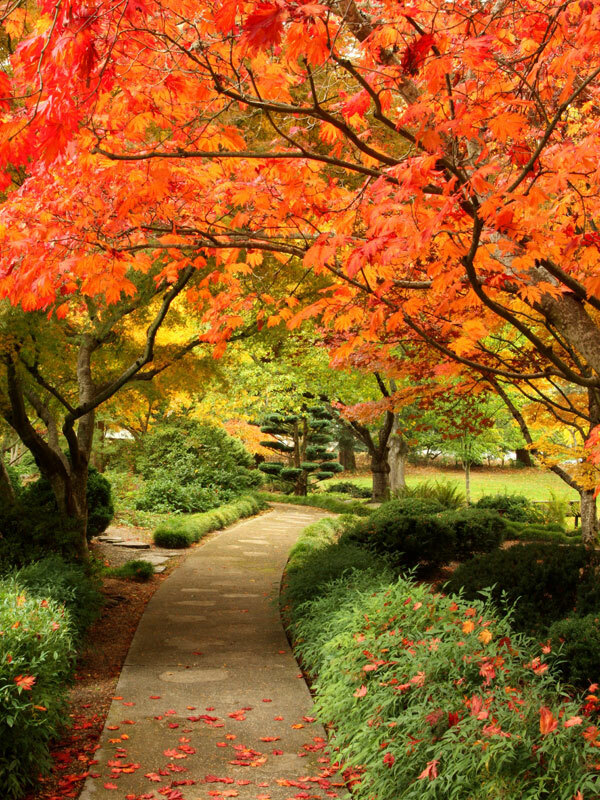 The community's commitment to preserving the park has been evident throughout the years. Floods in 1974 and 1997 resulted in significant damage, and each time the community approved funding to repair the damage and make park improvements. Lower Duck Pond with the Oregon Shakespeare Festival in the background. Photo by Dorinda Cottle. Japanese Garden. Photo by Jeffrey McFarland.